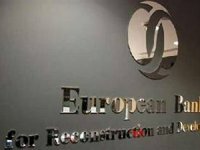 The European Bank for Reconstruction and Development (EBRD) is providing a seven-year loan of $15 million to a major manufacturer and supplier of fixtures and equipment for retail stores and warehouses – Modern Expo Group, the bank reported on Friday. The proceeds will be used to increase production volumes at the two principal manufacturing sites in Lutsk (Ukraine) and in Vitebsk (Belarus). The company will also be able to restructure its balance sheet. Modern-Expo is a privately owned company, which has been operating in Ukraine for over 20 years and expanded to Belarus in 2014. It is one of the largest manufacturers and suppliers of fixtures and equipment for retail stores and warehouses in central and Eastern Europe. The main plant with an area of over 65,000 square meters and the Ukrainian office are located in Lutsk. In 2013, the group launched production in Verkhniodniprovsk (Dnipropetrovsk region) with an area of 22,000 square meters. In 2017, RED POS equipment manufacturer (Lviv) joined the group. Around 65% of company revenues are generated from export sales to more than 60 countries around the world. It supplies its products to major international retailers including Auchan, Carrefour, Billa, Nestle and many others. The EBRD is the largest international financial investor in Ukraine. To date, the bank has made a cumulative commitment of almost EUR 12.1 billion across some 400 projects since the start of its operations in the country in 1993. Since the start of its operations in Belarus in 1992, the EBRD has invested over EUR 2 billion in 95 projects in various sectors of the country's economy.